The sometimes controversial, often unpredictable, and sporadically dexterous, Chloë Sevigny talks to performers/artists Casey Spooner and Adam Dugas via Imagine Fashion (If) . The interview is mockingly tag-lined Good Evening, America--as a parody of the actual web series of satire videos based on Chloë Sevigny herself. Sevigny admits that she's not really a go-getter while describing her new project , "I usually wait for projects to come to me. I've never been that overly ambitious." Her newly self-initiated project is quite a different story this time around: It will air on HBO as a two part series about the Lizzie Borden story and trial. Have a watch at the full interview (below). 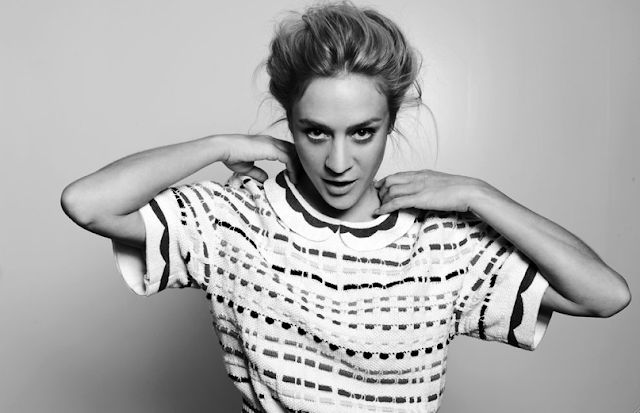 Plus see Chloë Sevigny's reaction: as she watches her drag queen impersonator for the first time on her iPhone. Good Evening, America by Casey Spooner and Adam Dugas. Starring Chloë Sevigny. For more of If's videos, go HERE.